Who doesn't love animals? 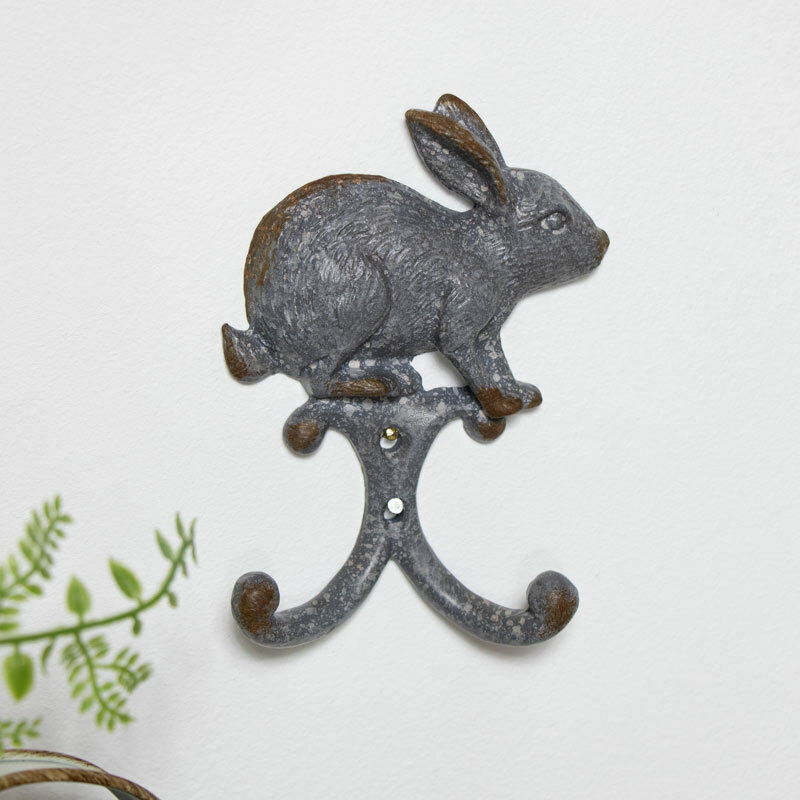 And what better way to add a touch of rustic charm than this quirky Rabbit Coat Hook. Featuring a grey rabbit in a rustic design. With sturdy double hooks for extra hanging space, this is perfect for hanging in the kitchen, bathroom, hallway or even in a utility room. With even more wall hooks to choose from on our website in single, double and multi hook designs.